If you know anything about me, you know that I'm from Kansas City (Missouri) and am proud of it! And that I love the sports teams from there - namely the Royals and Chiefs! Well, after an amazing two years in a row in the World Series (a loss in 2014 followed by a victory in 2015! 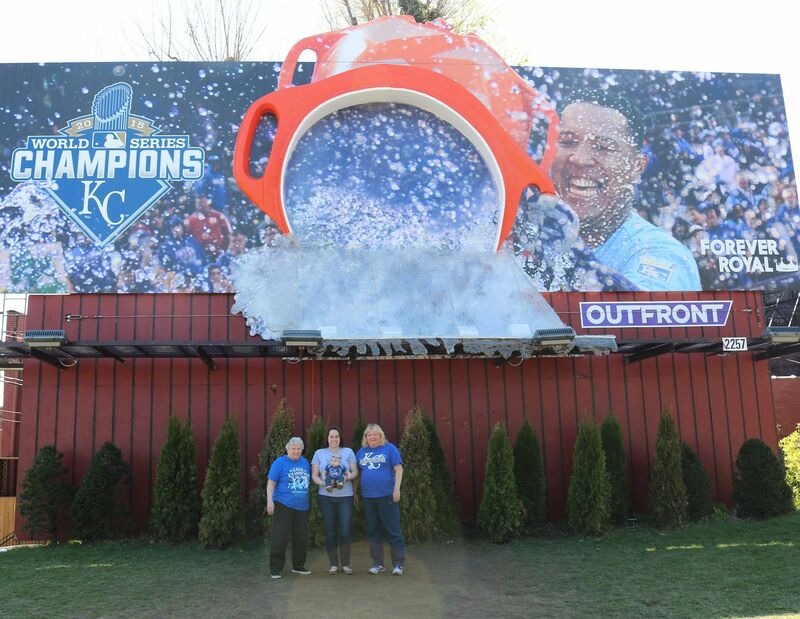 ), the Royals have captured the hearts of many... and one player, known for his Gatorade baths after every win, had his time to shine with this epic billboard! When I learned it would stay up longer than previously thought, I was stoked because we'd be able to go see it as we passed through KC during our PCS. 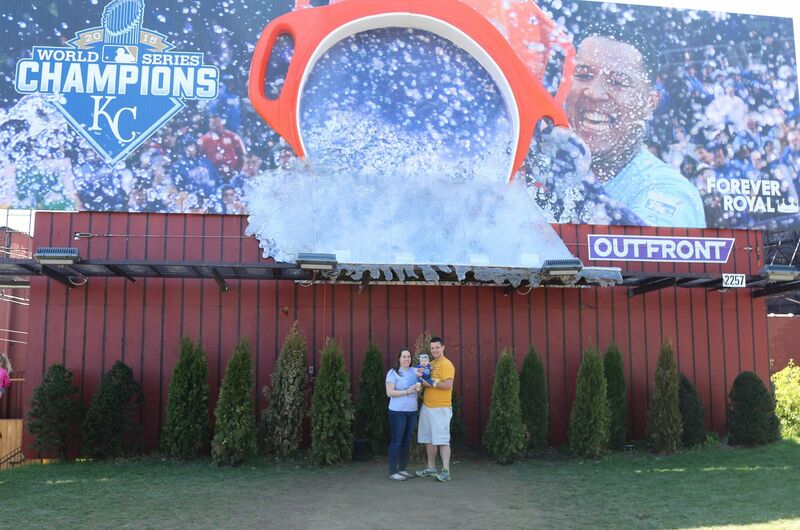 It was seriously put in a spot for people to go take photo with it - awesome idea! We hd to get a little family photo and also a four generation photo. We take those every time we get a chance to!